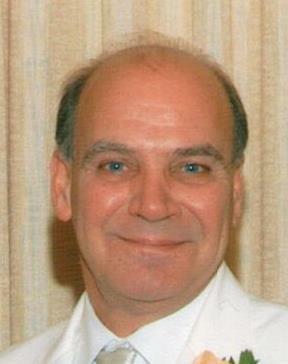 Joseph E. Grato of Wakefield passed away at home on Novemeber 11, 2018. He was 74 years old. Born in East Boston he was the beloved son of the late Julia (Kozlowski) and Antonio Grato. A resident of Wakefield for over 20 years he previously lived in Melrose and East Boston. Prior to his retirement he worked as a master pipe fitter and a carpenter. He was a member of the Saugus-Everett Lodge of Elks, the Pleasant Park Yacht Club and the Son's of the American Legion. He was the devoted husband of Lynda (DiMuro) and the loving father of Joseph H. Grato and his wife Dana of Virginia and Jackie Skane and her husband Jeff of Melrose. Dear brother of Marie St. Pierre, Antoinette Haycock, Frederick Grato and Robert Kozlowski. Cherished grandfather of Justine, Jason, Jared, Jocelyn and Jake. Also survived by many loving nieces and nephews. Family and friends are cordially invited to attend the visitation from the funeral home on Thursday, November 15, 2018 from 4:00 to 8:00 PM. A funeral service will be held in the funeral home on Friday, November 16, 2018 at 10:00 AM. Interment to follow the service in the Wyoming Cemetery in Melrose. Memorial donations may be made to the Alzheimer's Association at www.alz.org or to Autism Speaks at www.autismspeaks.org.